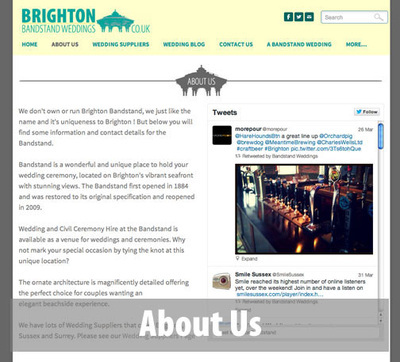 Brighton Bandstand Weddings is a wedding related website and Blog which aims to give you information on weddings held in Brighton, Sussex and Surrey. 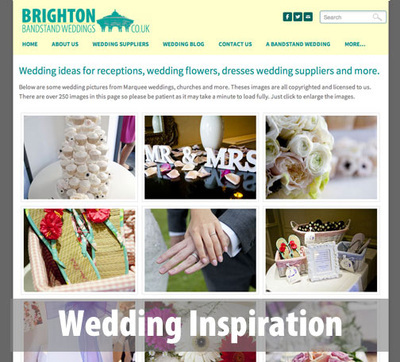 We have categories of wedding suppliers such as Wedding Photographers in Brighton, Brighton Florist, Makeup Artist Brighton, Sussex Wedding Fairs, Wedding chair hire, Wedding Caterers or anything else wedding related on the Brighton Wedding Suppliers link. 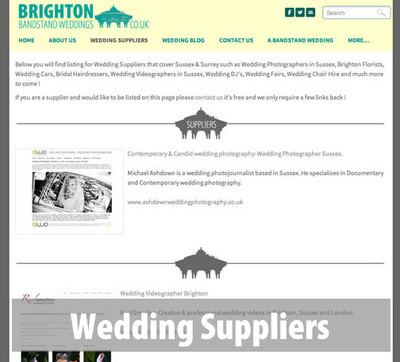 We will be adding more information on our Sussex wedding blog from each of our listed suppliers with Q&A sessions that hopefully you will find helpful. 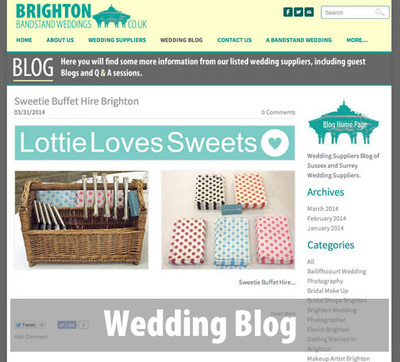 Among others there are Blogs from a Brighton Wedding Florist and Brighton Wedding Photographer.